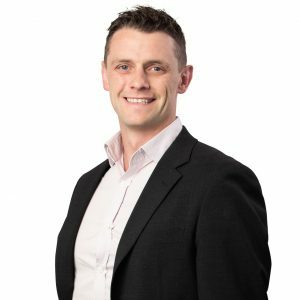 Professional Background David successfully completed a Bachelor of Arts and Bachelor of Commerce degree (with Honours) from the University of Tasmania in 2000. Following his graduation, David worked in the specialised field of human resource management for one of Australia’s iconic and highly successful retailers, Woolworths. It is from this that his zest and natural talent for real estate developed. 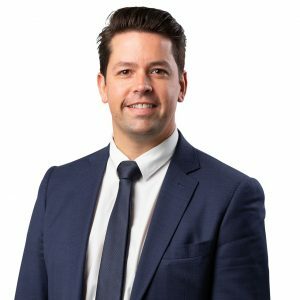 David relocated to Melbourne and worked for Noel Jones Real Estate, promptly establishing himself as a high achieving, top performing agent within that business. David returned to Tasmania in 2005 where he continued to perfect his abilities as a high performing agent. Driven by his desire to continue to enhance his success, In 2013 David purchased EIS Property Management with his business partner, friend and mentor, Hank Petrusma. With his dynamic, savvy and versatile business acumen, David established EIS Property Sales, which true to form is destined to succeed as a sales performing magnate in the industry. Approach to Real Estate David values professionalism, respect and energy as fundamental to his work ethic. This translates into positive results, realistic expectations, honesty and above all an enjoyment of his work. David has reaped the benefits of his success with strong client feedback, loyalty from colleagues, clients and admiration of competitors. David believes that transparency is the key in real estate and clients can and do take significant comfort in his no-nonsense approach. Family David’s wife, Trish, also works in the business. David and Trish welcomed their first child, Oscar, into the world in 2015 and David loves spending time chasing after his very active and happy son. David’s brother works in property management in Melbourne, and keeping it in the family, his mother is also keenly involved in the property market. These relationships ground David, giving him valuable feedback, guidance and motivation to continue to excel in real estate. Hobbies & Interests David is a passionate Collingwood supporter, but promises this will not cloud his judgment in property. He enjoys bike riding, playing soccer and going to the gym and general fitness enhancement. In Tasmania, the name Hank is synonymous with Real Estate. The two are inseparable and for a very good reason. His 45 years of real estate experience has generated him a remarkable reputation as one of the States leaders. Hank has a passionate, vibrant personality and a dynamically driven, focused approach towards his profession, ensuring that he has always been at the forefront of progressive best industry practice and successful business. Always willing to go the extra mile and assist clients to resolve their housing needs, Hank works with energy and enthusiasm, ready, willing and able, always mindful of striving for the ultimate outcome for his customers. 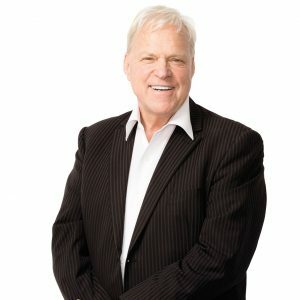 Hank is the founding director of Hank Petrusma Real Estate, a past president of the Real Estate Institute of Tasmania and a Fellow of the Real Estate Institute of Australia. 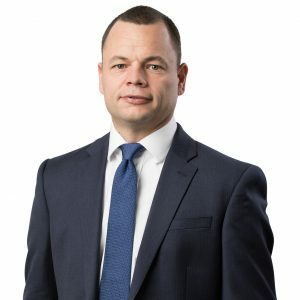 Hank was also previously a Shareholder/Director of the highly successful Petrusma Property business. Over the past few years he has trained and motivated many people throughout Australia, New Zealand and USA. Within Tasmania, Hank has always had an active life with many involvements at community level involving charitable, church, sporting and other organisations. For the past 35 years, Nyal has lived in the Huon Valley where he has enjoyed operating a successful family business in the Geeveston area. He is an enthusiastic member of the Community, being involved in many sporting organisations and is currently a member of the Huon Valley Badminton Association and is also a committee and social member of the Cygnet Tennis Club. Nyal’s genuine dynamic personality has naturally enabled him to form many strong relationships within the valley, including being involved in many fundraising initiatives. He has been a volunteer director, for a period of six years plus, with Huon Valley Financial Services, who operate four community banks within the Huon Valley region. He prides himself on securing outstanding results and has a proven track record, when it comes to negotiating superb prices, for his valued clients, and is willing to accomplish any task that is assigned to him. Nyal’s achievements over the last six years includes selling over 200 properties. His determination, honest approach, hard work ethic and enthusiasm are all attributes in which his clients look for. Because of Nyal’s accomplishments, thus far, and for being one of the top performing sales consultants, Hank Petrusma and David Gunning invited Nyal to buy into the sales business and become a Director, of EIS Property, which he is relishing in. Nyal currently lives in the Lower Longley area, on a 25 acre property, with his lovely partner Michelle and their adorable daughter Lucy. Please, do not hesitate to contact Nyal, as he would love the opportunity to represent you for all your real estate needs! Highly respected by both sellers and buyers alike, Penny is an all-round powerhouse who will give you her all throughout your property journey. 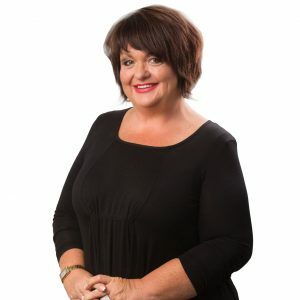 She holds boundless energy, exceptional communication skills and is a strong believer in self-motivation which allows her to exceed her clients expectations.With a reputation for being driven, positive and highly professional, Penny has a proven track record in real estate sales across Hobart and surrounds. that is why Hank Petrusma and David Gunning invited her to buy into the sales business and become a Director, of EIS Property, which she was thrilled to accept. 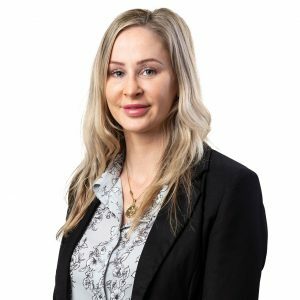 Penny is passionate about our local state and has a strong knowledge of the Southern Tas property market. Penny works diligently to achieve exceptional results for all her clients, and she has received recognition for her commitment and hard work, being awarded Agent of the Year for South Hobart 2018 (performance based), as well as previously receiving the Hobart Exceptional Service Award. 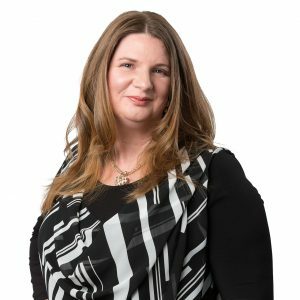 Leslie commenced her real estate career in 1991 and before too long was recognised as the go to girl when selling in Hobart. Leslie achieved numerous awards for sales and marketing including “Top Sales Person” for Tasmania. Leslie has been a valued member of the EIS sales team for nearly 4 years. She has proven her ability to offer exceptional service and has had her best year in Real Estate! After taking a break from Real Estate to help her husband in his business, Leslie has come back with passion, determination and a desire to meet and exceed her client’s expectations. Leslie has an infectious enthusiasm, is results driven and a strong negotiator. When Leslie is not giving her clients 110%, she loves to cook and host dinner parties, Leslie loves cooking Asian, in particular, Indian and Thai. Over a 25 year span listing and selling real estate I have sold approximately $200M in house, units and land sales in areas that include the West and North East coast. I have sold property in most areas of Southern Tasmania and it makes no difference to me whether the listing is a $50K property or a $1M+ property I will always leave no stone unturned to ensure I have achieved the best possible price for my clients. I am married to Suzzette and have 2 beautiful daughters, Jacqui and Natalie and 2 gorgeous step daughters, Kasey and Jezrelle. With grandchildren Savannah, Spencer and Harvey life is very busy but makes each day interesting and rewarding. “Passionate about real estate” is often stated, but for Deb, that is not just what she is! She is passionate about working hard, honestly and with the utmost professionalism to not just meet, but to exceed your expectations. Detailed market research, advising how to prepare your property to get the best price and to attract the most buyers, attention to detail in creating the marketing, and then the exciting “taking it to the open market” stage…this is where Deb excels in negotiating with buyers, achieving the best possible outcome in the market you are in. Deb also loves that no two days are alike and enjoys the variety of people she has the privilege to work with, many who become her friends and greatest source of referrals, and the variety of homes she has the honour of presenting to the buying market. Deb’s experiences in life began on a farm in country Victoria, moving to Tasmania in the 1980’s to reside in Kingborough. She still remembers selling the family home in her early 20’s and wondering then, why the real estate agent didn’t provide feedback on inspections or leave a card or note at the house to show the agent had actually been through the home. 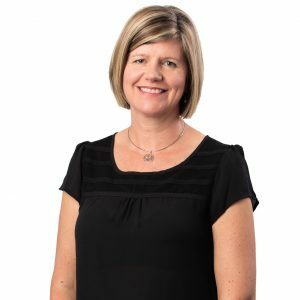 Working as a veterinary nurse prior to attending the University of Tasmania to complete a Bachelor of Education, Deb then went on to teach at both Primary and Secondary Schools in the South for 5 years before changing her career to real estate in 1998. 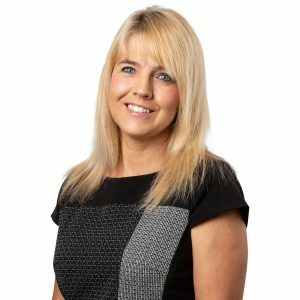 Since then, Deb has never waivered from this career, going on to further her qualifications to complete a Diploma in Real Estate, established and ran her own office for 5 years. Deb is a qualified trainer at the REIT and is enjoying being a part of the team at EIS. A proud mother of twins, Deb lives on acreage and enjoys spending time with her horse, dog and of course her children…when she is not hard at work! Barry joins us with a wealth of experience in the finance and insurance industries and in particular real estate finance. In his time managing branches for one of Australia’s big four banks, Barry developed a keen interest in all aspects of buying and selling property. Barry is well aware of the impact of gaining the best price for your property and has the skills and experience to successfully negotiate a win-win solution for your sale. 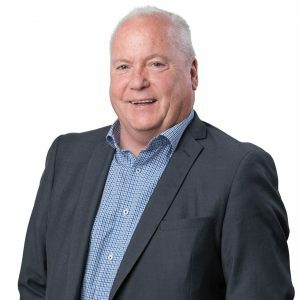 Barry has developed his first-rate communication platform and professional approach through years of advising and assisting new business operations. Negotiating and securing contracts are a strong point, with his clients always front of mind. With extensive networks around the greater Hobart area and beyond, Barry offers his customers a specialism with broad application. That said, Barry is most proud of the personal touch he brings to all aspect of his business. Barry’s honest, personal and caring approach has been commented on by clients on numerous occasions and has resulted in several awards and commendations in this regard. On a personal level, Barry is a keen and successful sportsman having participated in representative teams both nationally and internationally. Barry enjoys all outdoor activities and can be regularly seen jogging the streets of South Hobart, Sandy Bay and Taroona with his two dogs, Bill and Socks and occasionally his eldest son Brooklyn. Spending time with his family however, is the activity that gives Barry the most pleasure, Barry lives in central Hobart with the love of his life, his wife Katharine. Together, they have three other beautiful boys, Luca (7), Jude (4) and Tedy who is new to the family in 2016. Ben has always had an interest in property as a result of his extensive, close family involvement within the Hobart real estate market. He loves meeting new people and has a natural ability in making genuine connections and building lasting relationships. Easy to work with, reliable, trustworthy and dependable, Ben is determined and diligent when it comes to getting the job done, and prides himself on his fluid negotiation and communication skills. Ben’s working life began when he left Hobart at the age of 18, to start a business in Brisbane as a clothing wholesaler. Working in the discount fashion industry for more than 15 years has enabled him to travel around the world, sourcing new ideas from across the globe. He moved to Cambodia to open a factory/warehouse trading in garments, and began buying from factories in Cambodia and selling to distributors worldwide. Having explored most parts of the world, South America and Antarctica are the two continents Ben has not yet been to! Ben enjoys being part of a cohesive team at EIS Property who share their time and effort to achieve unparalleled results across the board, working in the best interests of their clients to create “clients for life”. Away from the office, Ben enjoys snow skiing, playing golf, as well as cooking, travel and spending time with his extended family. Matchmaking in the most important areas of people’s lives is a unique talent for Alison. Having been an integral part of people meeting for love and for business success, Alison now gains great joy in bringing people together to ensure you reach your property goals. 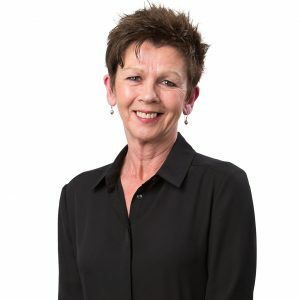 Over the last 25+ years of owning and running businesses, Alison has established herself as an accomplished sales and marketing consultant and business builder, a natural leader, a powerful communicator & an exceptional networking host. Through her extensive network, Alison fosters impactful connections and conversations to enable her clients to experience optimal results and outcomes. 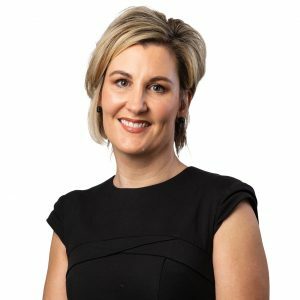 Alison has intricately weaved her skills, knowledge and wisdom from her experiences as an Australian representative athlete, sports coach, principal of a relationship consultancy and an advertising and marketing company, events facilitator, mentor, business advisor and mother into her real estate career. High performance is no stranger to Alison, having achieved high levels of success across a range of pursuits. Alison calls on the principles that she believes were pivotal to her success, in ensuring her clients achieve the best possible result. 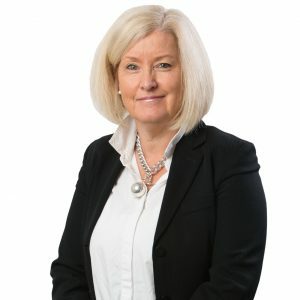 With a flair for marketing, highly cultivated conversational and negotiation skills and an unwavering passion for connection & nurturing relationships, Alison is well placed to assist you to achieve your property goals. Alison’s empathetic nature and awareness of others needs ensures a high level of support for you, her client, as she partners with you to bring about an exceptional result. 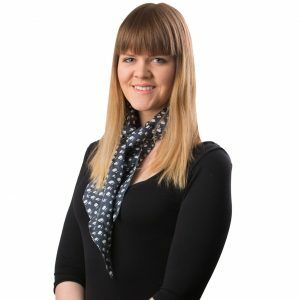 Bringing heart and soul to buying and selling homes, ensures Alison finds the perfect buyer for your home. Having lived in the Huon Valley and Channel area of Tasmania his entire life, Mark has a depth of knowledge of the southern region and a great deal of passion for real estate. Mark’s dynamic personality and charm ensures genuine connections with everyone he meets and develops lasting relationships. Mark’s work ethic of being honest, reliable and hardworking has derived from being a third-generation dairy farmer from Mount Cygnet Dairy 2Cow Milk. Growing up in the agricultural industry Mark has developed an appreciation for the value of land and is responsive to market changes. Having operated successful family businesses his entire life Mark understands how to get positive results. 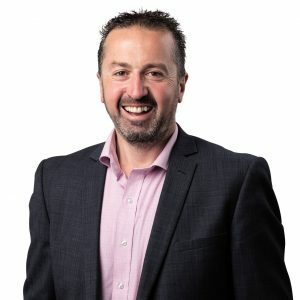 Mark has also come from an aviation security background where his communication with people from around the globe has deepened his passion for working with people from diverse backgrounds. This has been an asset in achieving results when selling real estate. Mark enjoys spending time with his family and traveling. Mark, along with his 3 children, are very passionate members of the community. Mark is involved in various organisations and sporting groups such as Cygnet Football Club, Cygnet Axemen’s Association, Arena Fitness, local basketball as well as volunteering with the Hobart Chargers. Other Associations include Holstein Friesian Association and Jersey Australia where Mark has been involved in breeding and showing cattle for the last 20 years. 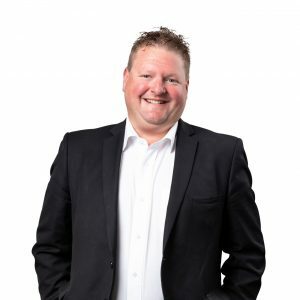 Mark’s down to earth personality and determination ensures a positive team approach to achieving the best results when buying or selling your property. Joel began his career driven by a personal interest and passion for the industry. Joel built the foundations of his skill base in various HR, Sales and Customer Service roles in both the public and private sectors and has also completed a number of associated diplomas along the way. 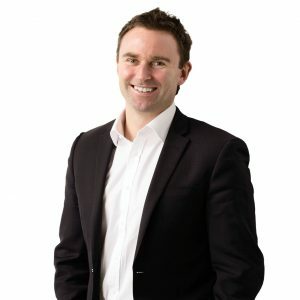 These skills have facilitate strong and ongoing relationships with many clients and allowed Joel to build a reputation as a leading consultant in the Hobart property market. Joel’s honesty, combined with his business skills and customer centric approach ensures a positive experience whether you are buying or selling. Joel is a highly driven individual and will always work in your best interest to help you achieve your real estate goals. Alex has lived and worked in the lower Midlands and Coal Valley for most of his life and is passionate about the local area. 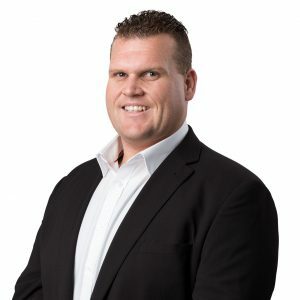 Alex is known for his knowledge and experience in the finance, tourism, community and local government sectors, and has rapidly established a reputation for outstanding results on behalf of his real estate clients. He brings exceptional communication skills along with an understanding and genuine approach when negotiating the sale of your property. My passion for interior design and decorating led me to the real estate and building industry. I have been working in these areas for the last 13 years with 4 years of this in property management following years of working in retail. After a recent move back to Tasmania from QLD, I have returned back to Property Management and I am looking forward to working with the team at EIS with dedication and pride and commitment in providing an exceptional customer service at the highest standard I can provide. I look forward to meeting current property owners and tenants and to welcome new faces in the future to EIS. Chris comes to EIS with 15 years experience in Property Management. She has worked in customer service roles all her working life including in a family business. Her priority is to achieve the best results for all owners, establishing great working relationships with owners and tenants alike. She prides herself on her communication skills and quick response to all tasks. 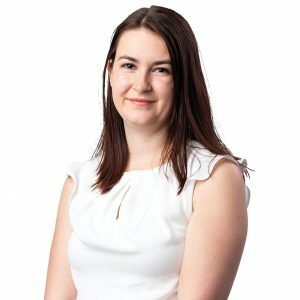 Having always worked in a team environment, she is relishing working with the team at EIS and looks forward to welcoming new clients together with established connections.